Homeopathy, or homeopathic medicine is a medical philosophy and practice based on the idea that the body has the ability to heal itself. 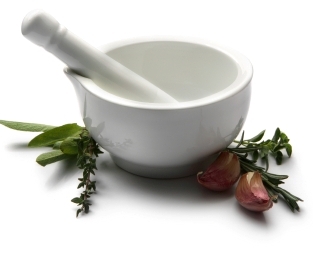 Homeopathy was founded in the late 1700s in Germany and has been widely practiced throughout Europe and Asia. Homeopathic medicine views symptoms of illness as normal responses of the body as it attempts to regain health. Can homeopathy can actually heal the body as efficiently, if not better than traditional medication. Is it a good alternative to regular medicine that may have long term side-effects? After all, the purpose of homeopathy is to relieve and cure the body of diseases and toxins that would be cured with regular medication. Homeopathic remedies are prepared by serial dilution with shaking by forceful striking on an elastic body, which homeopaths term sucussion. Each dilution followed by succussion is assumed to increase the effectiveness. Homeopaths call this process potentization .Dilution often continues until none of the original substance remains. To say that a dilution of a pharmacological substance has the same effect as the whole pharmacological substance simply goes against the process of science. 99% of the time, a diluted substance does not have even the closest effect as would a regular substance. A large assumption is that because homeopathy is such a large industry and doctors do allow it to be a medical alternative that it must work. This assumption causes very dire implications, saying that because it works, we can use it to treat almost anything. However, this is very dangerous because given the weight of the disease, sometimes regular medication is the only choice. Let's take cancer as an example. Individuals who have dire cancer sometimes do not want to undergo chemotherapy, and would rather do homeopathic therapy to "cleanse" the body to rid of the cancer. Cancer is due to when the cells in our body keep multiplying without being checked to make sure that they are good cells that can be used throughout the body. Something happened to that little cell checkpoint so that it does not catch the cancer cells which keep dividing. Thus, cancer is more of a strong neurological disease that can only be cured with the right amount of chemotherapy, radiation, surgery, etc. Perhaps homeopathy would help relieve the stress, tension, and our mental suffering, but it will not cure the actual disease. But, it will never be able to cure the disease that is causing all this suffering. My parents, both well educated, often think of using different homeopathic medication for when they feel that their own medication for certain things is not working, so that homeopathy must work to help them get better. However, this is not the case. All the information that supports homeopathic medication seems to be of different individuals who have claimed from their point of views that the medications seem to work and improve their benefits. I have even seen for myself that there are commericials for homeopathic medicine as well as homeopathy that seems to help cure even the most difficult diseases such as cancer, HIV, etc. However, studies show that homeopathic medication helps patients no better than a placebo, indicating that it has no effect on patients. So then why do patients so strongly stand by homeopathic medicine? A part of it has to do with the fact that patients so desperately want to believe that they feel better due to this alternative medicine that they actually do, a phenomenon known as the placebo effect. However, a wise individual should be able to realize that there are biases to those who know that they are undergoing homeopathy. Our minds are very complex things and if we so want to believe that we are doing better, it often works. I myself have seen multiple commercials claiming the effects of homeopathy and the happy patients who have undergone homeopathy and now feel more youthful and healthier than ever. Homeopathy often follows the rules of pseudoscience: relying on ancient medication, using large scientific words without using the proper meaning, etc. Although homeopathy may have a small amount of proof, it is considered pseudoscience simply because it has been disproven but continues to live on today. You can see on the bottom video how they speak about science in unusual ways trying to prove it's existent. But do not be fooled! Homeopathy may be a nice therapeutic form of medication but it is definitely not a cure!